How close is RoboCop to real life? Ever since the original RoboCop debuted some 25 years ago there has always been a fascination with what happens when you mesh together humans and robots. While in 1987 the idea was definitely something out of sci-fi, skip to 2014 and the rebooted version of RoboCop is out to prove that real-life technology isn't actually that far removed from what's going on in the movies. 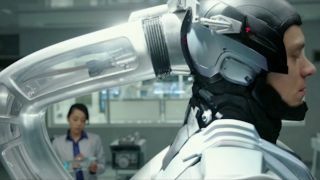 TechRadar has got hold of an exclusive featurette that explains just where director Jose Padilha and his team got some of the inspiration for the tech in the movie. And if that's got you excited by the film, don't panic - the rebooted RoboCop is set to hit movie theaters 7 February in the UK, 6 February in Australia and 12 February in the US.